The heart of our company is of course our fleet, which we are particularly proud. Currently our fleet comprises 40 vehicles at three locations. 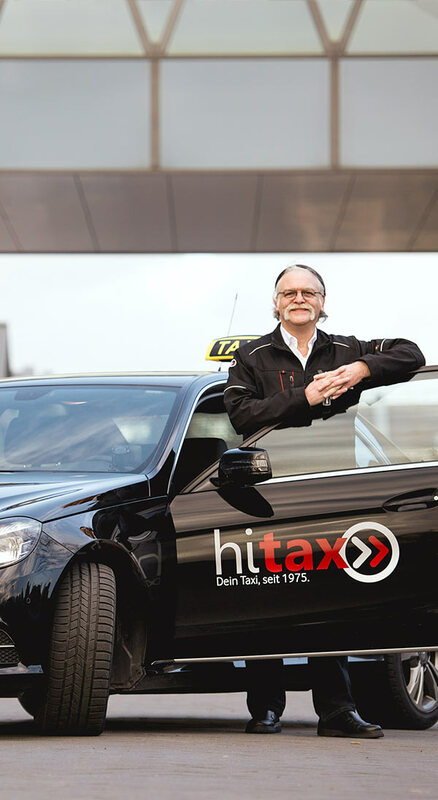 hitax only provide Mercedes Benz and Volkswagen. Each vehicle of hitax is well equipped, with air conditioning and navigation. We also accept all major debit and credit cards. For anytime fast taxi dispatch, our taxis are equipped with GPS monitoring. Furthermore, we are constantly renewing our fleet so that you are always safe and reliable on the road. Our vehicles are perfectly maintained and technically, and optically always in perfect condition. We offer conve­nient taxi ser­vices 24/7, all year round. Ben­efit from our li­mou­sine ser­vice to have your­self chauffeured to the in­tended des­tination.